Ahh, we're getting closer to full activation of Griswold Alley now. 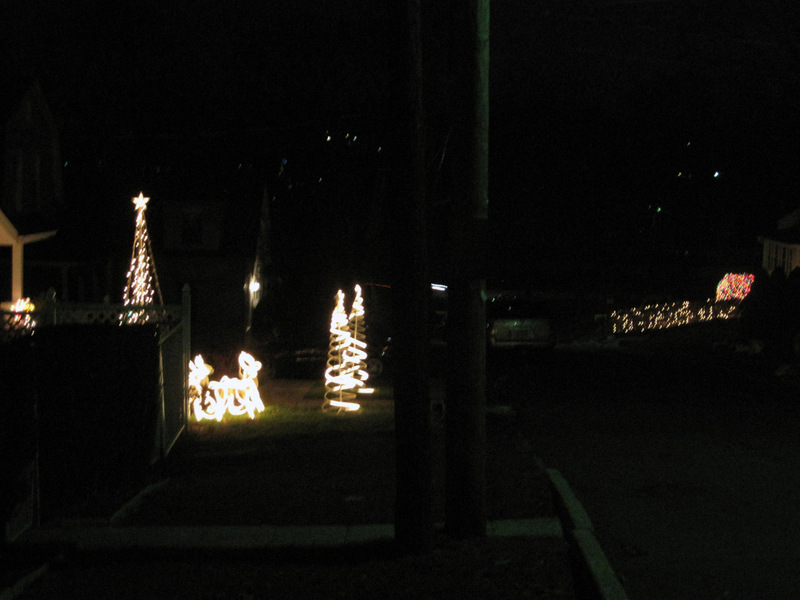 Compared to last week's photo, we can see two things in this one: a new entrant in the foreground, as well as a formerly lit house further down the block that has suddenly gone dark. No doubt he's recalculating and recalibrating, refusing to be outdone by his newly bright neighbor. The guy down at the bottom of the block on the right hand side is holding steady, confident for now in his modest, colorful display. It's all still a touch on the quiet side. "A bit too quiet", as they say right before the big reveal in all the best worst horror and suspense films. The bean counters at Con Edison are sweating, but I have no fear. Elmsford is preparing and I... I live by the alley.